Let`s make music! 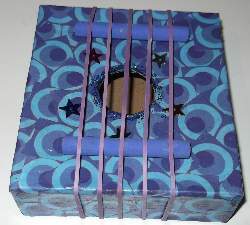 But with your own homemade musical instruments made from all sorts of funky stuff around the house. Some of these instruments are KKC originals. See if you can spot which ones. How about an instrument with a Caribbean theme? 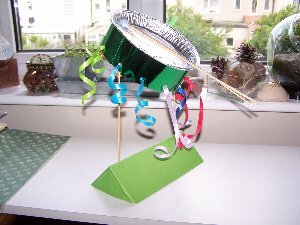 The steel drum or steel pan is one of my KKC creations. The crew`s grandad who comes from Jamaica, was amused when he saw this awesome piece of kit. Is there any spare wooden dowels in your dad`s tool shed? Then cut them, paint them, and make Wooden chimes out of them. If you get tired playing them, you can always hang them in a tree and let the wind have a go. We at KKC will show you how to make the first on the web! Most of these instruments were crafted in our Kool Kids Crafts Summer Workshop in the first session. The fun part was watching the parents enjoy it as much as the kids. These are much simpler homemade musical instruments to make. How about a paper plate tambourine? They are super easy to make for the younger kids and great for decorating with colored stickers, felt tips, ribbons and glitzy stuff. With a few beans inside they make nice shakers! Do we have a homemade musical instrument that you pluck? Yes! If you go to the African Continent you`re bound to see some instruments you`ve never come across before. I have some African homemade musical instruments for you to discover and make. Have you heard of the Kalimba? It is a very simple instrument where you pluck the tins and it makes a really kool sound. You get all sorts of shaped Kalimbas. I have 3 real Kalimbas at home. Our crafted one is box shaped and plays some kind of sound. This is another home made musical instrument that you can pluck. We don`t know what to call it. Can you think of a name after you have made it? This is quite easy to make. Just a box, elastic bands, dowels or pencils, and some pretty paper and it plays with a nice sound. How about home made instruments that you can blow? Now we go to the land of down under, to Australia. There is an aboriginal instrument that has a low, one toned, vibrating sound. It`s a didgeridoo and is fun to make and even funnier to play. You can make some funky designs all along its length, and then drone to your hearts content. 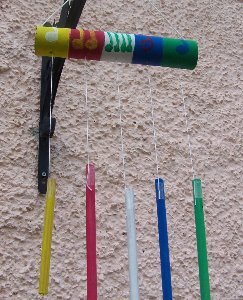 You need some long wrapping paper tubes or short loo roll tubes to make this koooool instrument. How do you make them? What a silly question! With bubble tea straws of coarse! Cut 8 straws, each a little smaller than the previous, and stick them together. Easy? 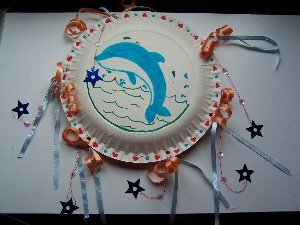 Well let`s see how the kids at the Kool Kids Crafts Summer Workshop made their pan flutes. 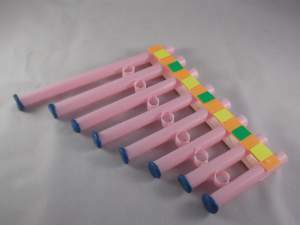 Did you know, you can learn how to make a flute from the cardboard tube of a kitchen roll? It`s true, and what`s more, you can actually play a tune on it. Making cardboard flutes is not new. People have been making them from all sorts of materials. But modified measurements and my jazzy design, the end result is a KKC brainchild. Look out for the stringed section coming soon and enjoy playing your homemade musical instruments!